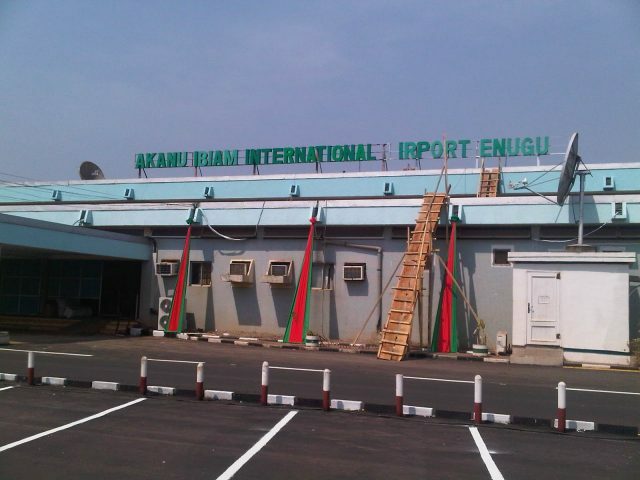 The Federal Airports Authority of Nigeria (FAAN) has commenced repair works on the kanu Ibiam International Airport, Enugu as part of effort to improve the aviation sector in the country. Speaking on the development on Thursday, the General Manager in charge of Corporate Affairs, FAAN, Herrienta Yakubu, stated that the first phase of the reparation works would run from December 14 to December 21, 2017 while the second phase would be between December 27, 2017 and January 4, 2018. In her words:”There will be skeletal operations at the airport while the work is ongoing as the runway will open for operations from 0700 hours local time till 1500 hours local time on the proposed dates. “This is to enable the contractor has enough working hours during the day time in order to obtain stable and even runway surface, while also completing the work within the stipulated timeframe.